Llys y Garn is a rambling Victorian-Gothic mansion with vestiges of older glories. It lies in the isolated parish of Rhyd y Groes in North Pembrokeshire. It is the house of the parish, even in its decline, deeply conscious of its importance, its pedigree and its permanence. It stubbornly remains though the lives of former inhabitants have long since passed away. Only the rooks are left to bear witness to the often desperate march of history. Throne Moore’s Long Shadows: Tales of Llys y Garn comprises a trio of historical novellas that let us into secrets known only to these melancholy birds. The Good Servant is the story of Nelly Skeel, loveless housekeeper at Llys y Garn at the end of the 19th century, whose only focus of affection is her master’s despised nephew. But for Cyril Lawson she will do anything, whatever the cost. The Witch tells of Elizabeth Powell, born as Charles II is restored to the English throne, in a world of changing political allegiances, where religious bigotry and superstition linger on. Her love is not for her family, her duty, her God or her future husband, but for the house where she was born. For that she would sell her soul. The Dragon Slayer tells of Angharad ferch Owain in the early decades of the 14th century. Angharad is an expendable asset in her father’s machinations to recover old rights and narrow claims, but she dreams of bigger things and a world without the roaring of men. A world that might spare her from the seemingly inevitable fate of all women. In these three tales the rooks of Llys y Garn have watched centuries of human tribulation – but just how much has really changed? If you enjoyed the kaleidoscopic sweep of David Mitchell’s Cloud Atlas you will appreciate Long Shadows. The first, The Good Servant is told from the point of view of the housekeeper, Nelly Skeel; the protagonist, living at the end of the nineteenth century. Well rounded and well portrayed in her actions, there is a vulnerability about this character; as the reader I found myself both can empathising and sympathising with her and yet being exasperated. Yet should I? She is of her time and of a certain status in her world. The Dragon Slayer is the story of Angharad ferch Owain, living during the fourteenth century. Also told from the protagonist’s point of view we read of her fear of her father, of her future. This protagonist I liked the most. The ending is satisfying. I don’t know why I was surprised, but I was. As with the first two novellas, this tale is dark with themes of the women being mere chattels to be bargained with, used for the progression in society of their families. I enjoyed the way the women were portrayed as having a strength and internal rebellion. But yet there was always the conflicts of status and money, of land and possessions, of greed and thwarted love. Of patriarchy. In all three novellas, both the internal and spoken dialogue the author has the tone and subtle dialect that I imagine Rhyd y Groes in North Pembrokeshire to have been in those eras. And, in all, the descriptions of the buildings, of Llys y Garn and of the ever-changing Welsh countryside are evocative and easily imagined. The intriguing Prelude, giving the history of the “rambling Victorian-Gothic mansion” that is Llys y Garn, is fascinating. And I loved the short explanations of the after-years of novella. And then we have the Interludes; told in a conversational tone these are filled both with historical details and those pertinent to the story,. Finally, the Epilogue, giving the continuing, ever-evolving history of Llys y Garn through the following centuries. It is apparent that the author has researched thoroughly for each of these stories; the themes of Welsh legends, myths, superstitions and tales are woven throughout the history of the decades. This is a collection of novellas I can thoroughly recommend to any reader, especially those who enjoys historical literature. Thorne was born in Luton and graduated from Aberystwyth University (history) and from the Open University (Law). She set up a restaurant with her sister but now spends her time writing and making miniature furniture for collectors. 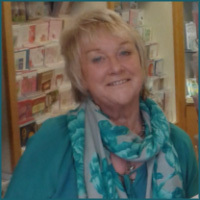 She lives in Pembrokeshire, which forms a background for much of her writing, as does Luton. 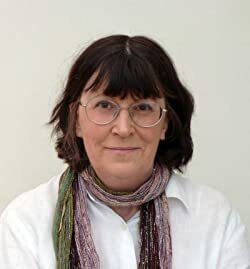 She writes psychological mysteries, or “domestic noir,” and her first novel, A Time For Silence, was published by Honno in 2012. Motherlove and The Unravelling followed, also published by Honno. She has also brought out a book of short stories, Moments of Consequence. Her last novel, Shadows, was published by Endeavour in 2017. She’s a member of the Crime Writers Association. D.S. Jonah Greene’s police career is at a dead end. Following three months of stress-related sick leave, he is sidelined from his C.I.D. team and transferred to the Coroner’s Office. His first body is that of a homeless man who froze to death. What should be a straightforward case takes an unexpected turn when Greene is handed a list, containing seven names, in the dead man’s handwriting. Greene investigates the names and discovers a tale of greed and murder which stretches back to the mid-1990s. His career, his marriage, and his life may be threatened, but he will not give up until he has found the truth and brought the guilty to justice. I’m getting hooked on crime thrillers and The List is no exception. The author presents a complex and, for me, a baffling plot that kept me guessing right up the end. Wonderful!! The reader learns very early on that the protagonist, Jonah Greene, has many problems, both with his career and in his marriage, And the character is so rounded, so multi- layered that it’s impossible not to empathise with him. Unlike some of the other characters! Well written, equally rounded, but with motives and actions that there is little to empathise with. Still fascinating though. The action moves from the story’s present to the past, with sections interspersed and told from the four antagonist’s viewpoint, and the rest from Jonah Greene’ s point of view. Both the internal and spoken dialogue is first-rate; there is no doubt who is speaking at any time, even without dialogue tags. And the settings, both domestic and those of the crimes, described well, using all the senses so evocatively it is easy to imagine being right in the scene, which isn’t always comfortable. Just the reaction a crime thriller should have, in my opinion. I have thought long and hard about the star rating with The List;=Normally, if there are errors with punctuation, words incorrect or missing, grammar, I tend to mark lower. And all these are present in this book; it really does need another proofread. But I enjoyed the story so much I decided to ignore these and just give a heads-up to the author for reference, So hence the five stars. 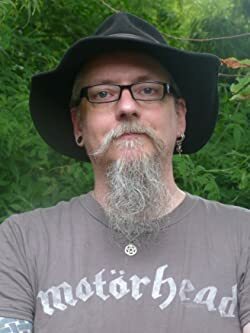 Graham H Miller has been writing since his teenage years when he had a scenario printed in a role playing magazine. Since then he’s written articles, guest posts and a book on pagan subjects. His brain is always at work, with more ideas than time. He is a house-husband proudly perpetuating the stereotype by writing books while his three boys are at school. He has two blogs that are erratically updated – one about life as father to three special boys and the other covering his thoughts on writing and the publishing process. His interests include prehistory, classic cars, anything Viking and learning Welsh. Fascinated by everything, he lives in South Wales and is older than he thinks he is! Although this concludes the Project Renova trilogy, there will be more books in the series. A collection of five side stories is planned, and another novel, set far into the future. i have long enjoyed Terry Tylers’ work and I have read almost everything she has written. However, when I heard she had changed genres and written an end of the world novel I hesitated. Only once had I read a dystopian book – and I hated it. What I forgot, at first, was that, not only does this author write a cracking good story, whatever the subject, she creates brilliantly rounded characters that take on a life of their own…and live, and grow and change as the plots progress. I took a chance and was hooked. I read the first of the trilogy Tipping Point (you can read my review here). Following the lives of the characters through desperate times was both fascinating and felt unbelievably real. The second of the trilogy, Lindisfarne; my review here, continues the story and, from my point of view, is equally riveting. And so to this last book, UK2, the conclusion of the the story (at least for the time being – as we see in the book description, Terry Tyler has other ideas). But, for now the stories of each of these characters I have grown to know and understand have sailed off into the distance. There are so many well-rounded characters I honestly wouldn’t know where to start (and would probably ramble on for pages!). Some of the characters are told by a third person omniscient narrator, which allows the reader to sit back and observe. But many characters tell whole chapters from their own points of view. It’s interesting to hear the internal voices of Lottie, Vicky and Doyle, with their opinions on the world they are living in; all developing in the way good characters should in a novel. I was well impressed the way one character, Flora, changed. Oh, and I should mention the appearance of two characters I instantly loved, Seren and Hawk. The dialogue is, as usual, good; some of the voices of the characters with the intonations subtly changed as the characters go forward in their stories, some immediately recognisable. The settings, whether of Lindisfarne, the devastated Britain of the past, UK Central (ruled over by the plastic ‘Hollywood-style governor Verlander’) or islands far away, give a brilliant sense of place. I have to be honest, it is a complex book with plots and subplots intertwined and a whole plethora of characters; so I can only recommend that readers start with the first book of the trilogy. And, to be fair, this is what the author recommends. But, having the last word (well, this is my review! ), whatever your preferred genre, give this series a go…you’ll be hooked. Terry is a Walking Dead addict, and loves history, winter, South Park and Netflix. She lives in the north east of England with her husband; she is still trying to learn Geordie. 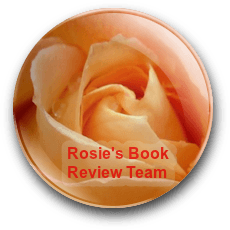 I received this book as a member of Rosie Amber’s Review Team #RBRT in return for an honest review. I enjoyed this book; Jenny Morton Potts has created a good psychological thriller; great plot, believable characters, good dialogue. 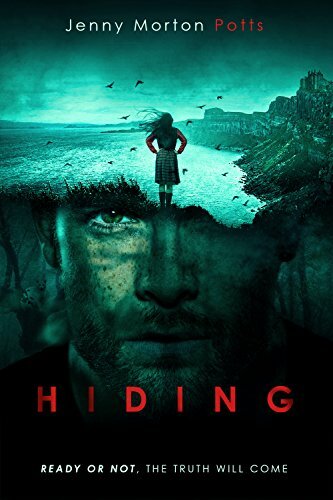 Hiding follows two main characters from different countries, both well-rounded and many layered: Rebecca, the protagonist, brought up in the Scottish Highlands with her siblings by her grandparents. It’s a bleak seemingly loveless household according to the narrative from Rebecca’s point of view. But there are many unanswered questions, especially about the death of here parents; killed in a car accident. And Keller Baye, the antagonist; an American youth, and son of a murderer. His narrative is revealed slowly and is, initially, more difficult to grasp. But what is obvious is the lack of love in his upbringing, and explains his total absence of empathy for anyone in his world. (I use the word ‘world’ on purpose, rather than his ‘life’; right from the start his character is portrayed as distanced from any other character in the story – he seemed to me to be more of a spectator). The most unsettling is his graphic, almost internal narration of his presence at his father’s execution. Told alternately from each of the two main characters’ point of view, the plot lines are related both in the present and in flashbacks, (a device I like as a reader; to me this always adds so many more layers). And both the internal and spoken dialogue expands on all the characters and there is never any doubt who is speaking. The descriptions of the settings give a great sense of place; it’s easy to envisage each scene. From the descriptions of the isolated chilly mansion in Highlands of Scotland to the cramped unloving house that was Keller Baye’s home with his aunt in the USA, to the external scenes when each character is telling their own narrative and on to the scenes where they are eventually together. As I said earlier it’s a great plot; seemingly separate tales with no connection, both well told, until a sudden realisation that there is an inevitable link. Initially there is an even pace to the two separate narratives but then the suspense builds up as threads of the parallel stories intertwine and connect.A gripping read. And right up to the last chapter I would have given Hiding five stars. So many small twists and turns, so many suspenseful moments joining up all the past narrative. But then, for me, it ended too abruptly. I won’t say how, and no doubt other readers will have their own opinions. But the gradual deepening of the plot and the lead up towards the end worked so well – and then…it was over; a sudden and unsatisfying denouement. A last point; I love the cover; the silhouette of the woman looking outwards as though searching, the grim image of the man’s face as though watching; the contrast of light and dark. Wonderful! Despite my reservations of the ending (and I leave that point for other readers to decide), I would certainly recommend Hiding. Jenny Morton Potts has a great style of writing. Jenny writes contemporary novels and plays. Her new psychological thriller ‘Hiding’ was published in February. Her sceenplay for ‘Piano from a 4th Storey Window’ was filmed recently in Sussex. The editor’s first draft is available to watch on Jenny’s website (above). She lives with her partner and son in Thaxted. How ready are you for that? school and pregnancy outside marriage carries a stigma. happy to tempt him to do it. If Only I’d Listened is a family saga and has a good sense of the era; the sixties. It’s obvious the author has researched well from the details of the background to the lives of the characters; the attitudes, the class, the morals. And there is also a great sense of place so I could imagine the characters moving around the area. Compared with the nostalgia for the ‘Swinging Sixties’ the book reflects the confinements of family life, the expectations of parents, the tentative pushing against the boundaries of the teenage characters in the story. It’s an age-old plot: boy gets girl pregnant, parents from different classes disapprove, boy, realising his planned future is in jeopardy, panics and distances himself from girl. Girl left holding the baby… or is she? A good story-line but I won’t give away spoilers. The characters are all fairly rounded and evolve as the book progresses in their own way. The dialogue differentiates the characters well. As I said it’s an age-old plot that never goes stale. And it’s an easy read, I quite liked the author’s style of writing. The pace of the story was a problem for me. There is a lot of time spent in parts of the story, to the point where it felt rather laboured and where I wanted it to move on so I could read what happened next. And then the conclusion felt rushed. I was born in Devon during the second world war. Aged six I moved with my parents to Buckinghamshire where I lived until I left home aged nineteen to train as a nurse. For the last ten years I have been writing articles for the national magazines on different subjects including hand spinning. In 2011 I was commissioned to write my first book – Hand Spinning and Natural Dyeing. 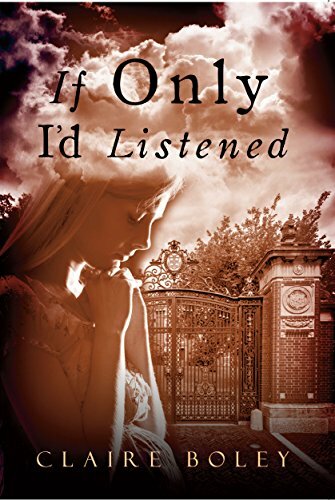 If Only I’d Listened is my debut novel, it took three years to write. The novel is based in London during the 60’s. Pete a seventeen year old school boy gets Samantha aged sixteen, pregnant. Samantha spends the nine months in and out of hospital while Pete is encouraged by his friends to go out and about and have have fun which he does, in between having upsets with his parents.